Bhutan has expressed its keen interest to import more pharmaceuticals from Bangladesh as well as taking more expert physicians. 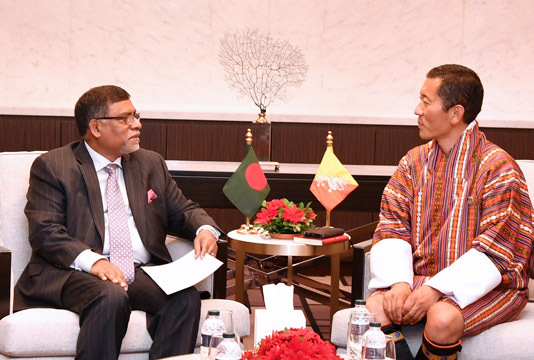 Bhutanese Prime Minister Dr Lotay Tshering expressed the interest when Bangladesh Health Minister Zahid Malik met him at Hotel Intercontinental in Dhaka. Talking to journalist after the meeting, Zahid Malik said both the countries can work on boosting cooperation in the health sector and side by side cooperation can be made on medical tourism. Emerging from the meeting, Khalid informed that he emphasised utilising more the land ports and river ports by the Bhutanese businesses to boost connectivity as well as boosting trade and commerce.